Zucchini, also known as courgette or summer squash, belongs to the Cucurbita pepo species. There are two color variations of this vegetable—green and yellow. It can be eaten raw or cooked and most commonly found in places with temperate climates. Zucchinis are sometimes mistaken for cucumber from the appearance, but zucchinis have rough and dry texture compared to the latter. This plant is widely cultivated in countries such as Japan, China, Romania, Italy, Argentina and Egypt but according to scientists, domestication of zucchinis originated in Central America and Mexico. It is grown all year round but they are in their best forms during the months of May and July. Don’t underestimate this plant that look really plain and taste rather bland. You will be surprised that nutrition-wise, this squash/gourd is powerpacked with nutrients: It has a good source of vitamin C, K, and a few of the B vitamins. Mineral-wise, it is high in potassium, magnesium, copper, manganese, phosphorus, and zinc. There are also small amounts of iron, choline and protein. Acidity: The alkalinity of the minerals in zucchini juice effectively helps in regulating the body’s blood pH, neutralizing acidity. The juice is also soothing for the treatment of gastric and duodenal ulcers. Anti-inflammatory: The rich vitamin C and beta-carotene that are antioxidants, help build up the immune system, defending your body against the common cold and flu. On top of that, zucchinis have anti-inflammatory properties that help prevent and reduce osteoarthritis, asthma and rheumatoid arthritis. 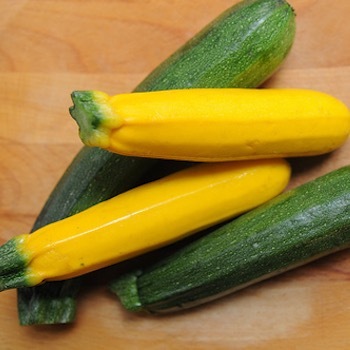 Cooling: Zucchini is a wonderful vegetable to be eaten in hot climate. During dry and hot weather, drink a glass of zucchini + celery juice. It wonderfully helps to normalize body temperature. Diuretic: Zucchini juice is diuretic, encouraging waste removal through urination. This also helps in the dissolution of kidney stones. Fever: The temperature-regulating properties in zucchini juice makes it a suitable drink when you have a fever. Eye health: Beta carotene—a precursor of vitamin A—found in zucchinis are important for maintaining eye health and help improve your vision. You can also slice up zucchinis and place them on your eyes to get rid of puffy bags. Heart health: Due to its high potassium content, zucchinis are great for heart health. Potassium helps reduce the harmful effects of salt and regulate blood pressure. Overall wellness: Dietary fiber helps promote overall wellness as it keeps the digestive system healthy. Add the other nutrients it contains such as vitamin A, magnesium, folate, copper and phosphorus then you can be assure of optimum health. 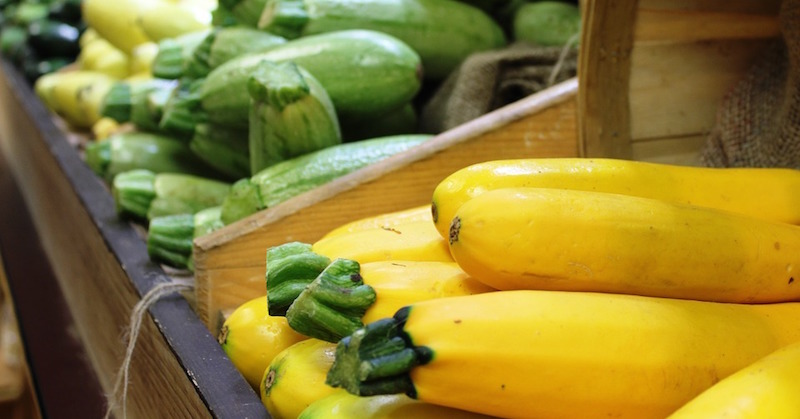 Prostate and urinary tract health in men: Studies have found that zucchini have properties that are effective and potent in treating a certain disease prone to men called benign prostatic hypertrophy (BPH). Symptoms of this ailment can cause sexual and urinary malfunction. Skin health: If your skin is dry, it is probably because it is dehydrated. While water is beneficial, consuming zucchinis on a regular basis can also bring back the moisture into your skin, leaving it glowing and younger-looking. Weight loss: If you are on a diet, you can still enjoy a savory meal with zucchinis. This means that you can feel full without putting on weight. If you are still not convinced, a cup of sliced zucchini has only about 19 calories! You can juice zucchini as you would cucumber, it is very refreshing to drink on a hot day. They are quite versatile and can be used in many ways in cooking. 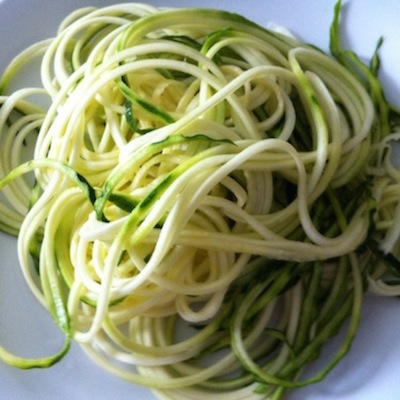 Enjoy it raw by shredding or slicing it and eat as a salad (hot or cold), or make zucchini spaghetti. You can also grill, bake or have them in stews. In order to get the maximum benefits of this wonder vegetable, it must be consumed as soon as possible from time of purchase to ensure freshness. There is a small amount of oxalate in zucchini. Individuals with a history of kidney problems should limit their consumption of this vegetable. In such individuals, eating oxalate in excess amount may promote kidney stones.